The overall objective of the project is to facilitate sustainable development of entrepreneurship in cross-border areas through asset of innovative entrepreneurship support solutions and tools. 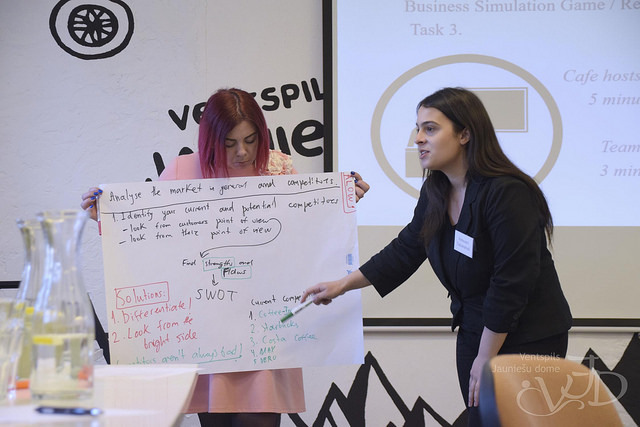 The partners will develop and conduct Business Simulation Games imitating real-life situations most newly-established companies face and “Be involved” seminars designed according to the interactive “Get inspired – help – share – analyze” concept. ICT Business Simulator imitating a process of business start-up and development will be launched. 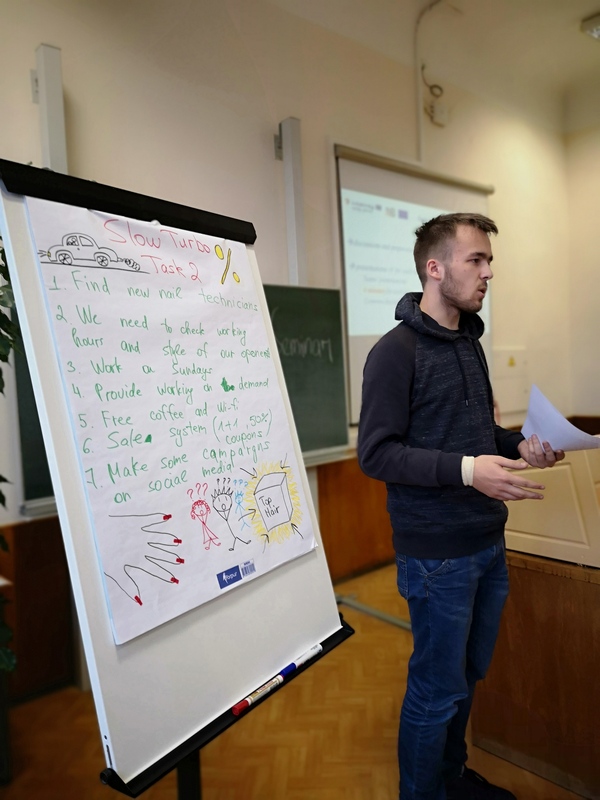 Target groups who will benefit from the project are students and recent graduates in business science, young people who have a business idea and/or willing to start their own business and founders of newly-established enterprises. businesses will be established as a result of the project activities. 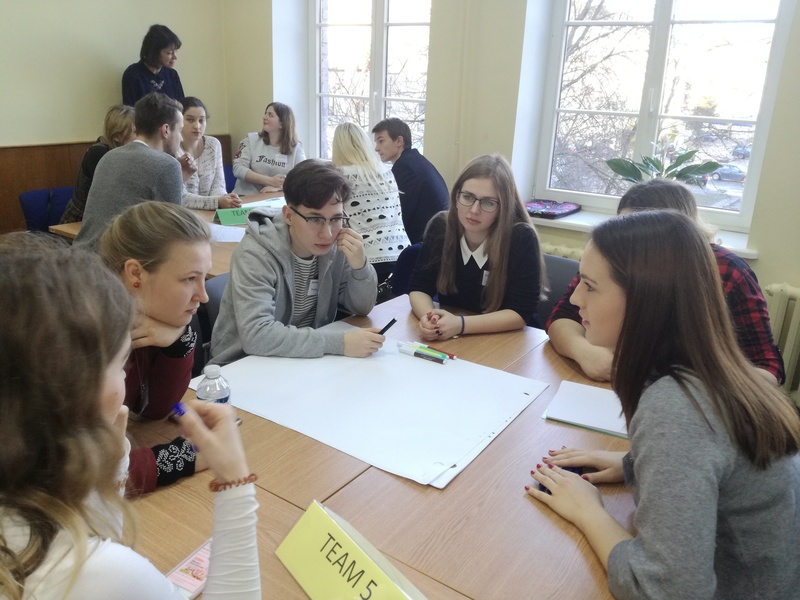 The 8th business simulation game dedicated to services took place on 13 December 2018 in Jelgava at the Faculty of Economics and Social Development of Latvia University of Life Sciences and Technologies. Players from six Latvian and Lithuanian regions met in an auditorium named after professor Kazimirs Špoģis. 1) 7 stars – Serving the best with the best. 2) Latuva – Two friends may have different culture, behaviour and thoughts, but live in one friendship. 3) Slow Turbo – Maybe we are slow and shy, but our business will always be fine. 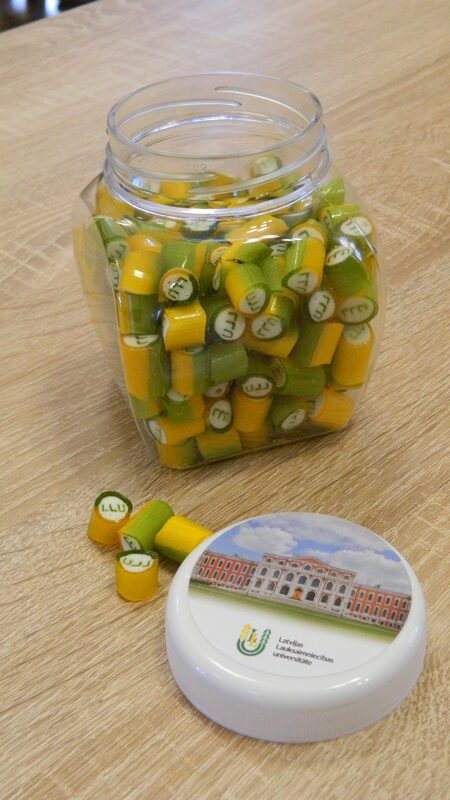 4) Blowminders – We will blow your mind. 5) 5 senses – You will have everything you need. 6) Equality – Every person matters. Afterwards, the players got acquainted with a business of a beauty parlour that had recently been established by three friends: Ivo, Vilius and Luna. The highlights of the event were comments of an invited expert Valdis Janovs, who is extremely experienced in entrepreneurship. Valdis emphasized the importance of considering the financial aspect while generating new ideas and making decisions. 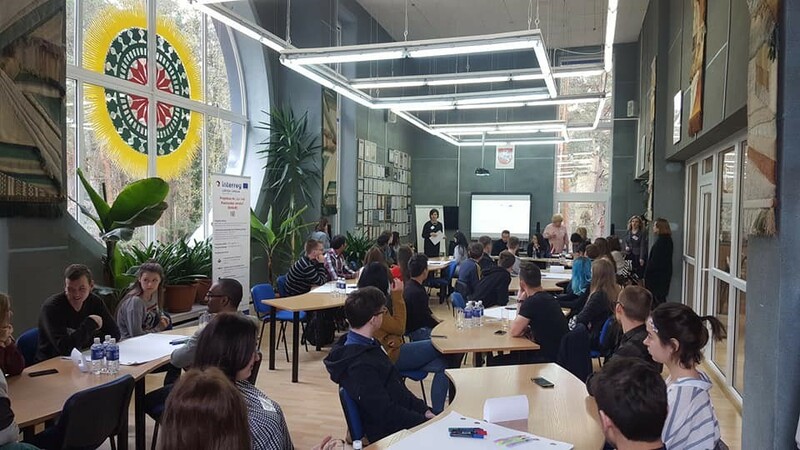 The sixth and the last “Be involved” seminar in the framework of ReforB project was conducted in Daugavpils University, which celebrates more than 90 years of providing high-quality education. 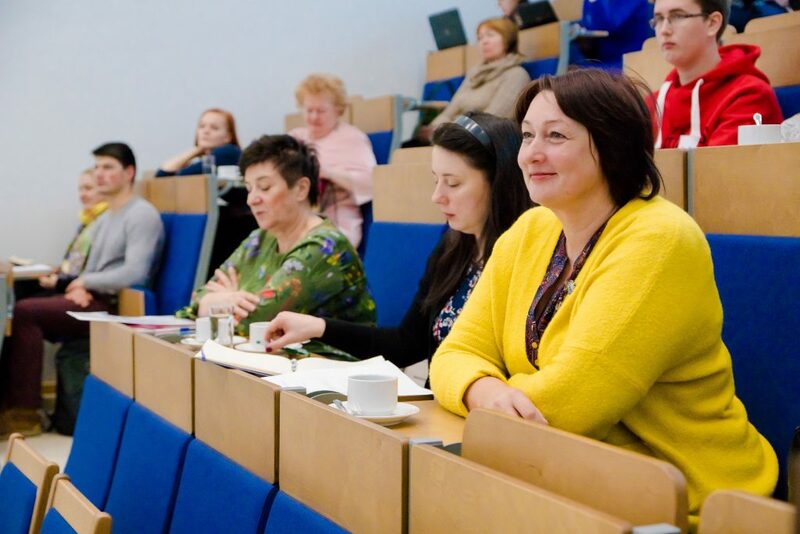 Participants from six Latvian and Lithuanian regions came to the event to listen to all kinds of entrepreneurs – starting from those who only have a business idea and ending with those who have been successfully running their companies for a substantial period of time. As usual, the seminar was held in 4 sessions. The first speaker was Artūrs Čipats, the Chairman of the Board of the construction company “Builder Industry”, which now employs more than 50 persons and paid more than 100 000 EUR in taxes in 2017. 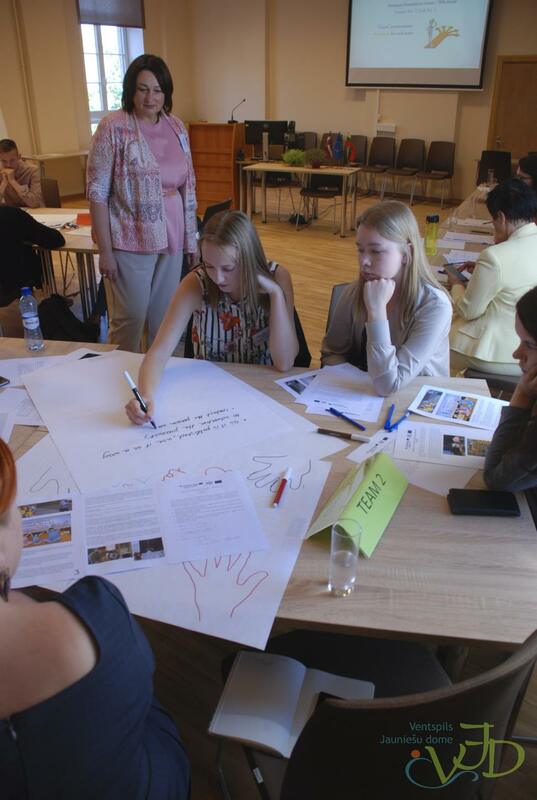 Artūrs demonstrated entrepreneurial skills already during university years. He moved to Daugavpils because of his future wife and decided to open a hotel 2.5 years ago. Then, the entrepreneur spent one year examining statistics and demand. “Why don’t you study hospitality business?” – he said to his spouse. The third speaker was Valerijs Efimovs, the Chief Technical Officer of ZIEGLER GmbH production plant in Daugavpils. As an example, the plant produces spare parts for Mercedes cars, trailers for Moghome by Mercedes and camper shells that can be put on top of various cars by those who enjoy travelling in the wild nature. Importantly, interior design of the trailers and camper shells, which resemble homey little apartments, was also created by Daugavpils staff. During the 2nd session, representatives of newly-established companies presented their businesses, including achievements made and challenges faced. “Movement is life” is a motto of Alexandr Podyava, whose life has always been connected with sports. His club “Intense Fitness” in Daugavpils offers a variety of trainings, including martial arts, qigong, TRX and functional workouts. Eduard Kirpichev is an owner and a Manager of a popular café/bar in Daugavpils – “Ezītis Miglā” or “Hedgehog in the Fog”. The business operates according to a franchise agreement and belongs to a network of 11 “Hedgehogs” in Latvia, most of which are located in the capital. Arnis Celitāns tackles a social and economic problem of youth unemployment with the help of a mobile app “Partly”. The app links households that need someone to help them with daily tasks with young people who wish to earn extra money. 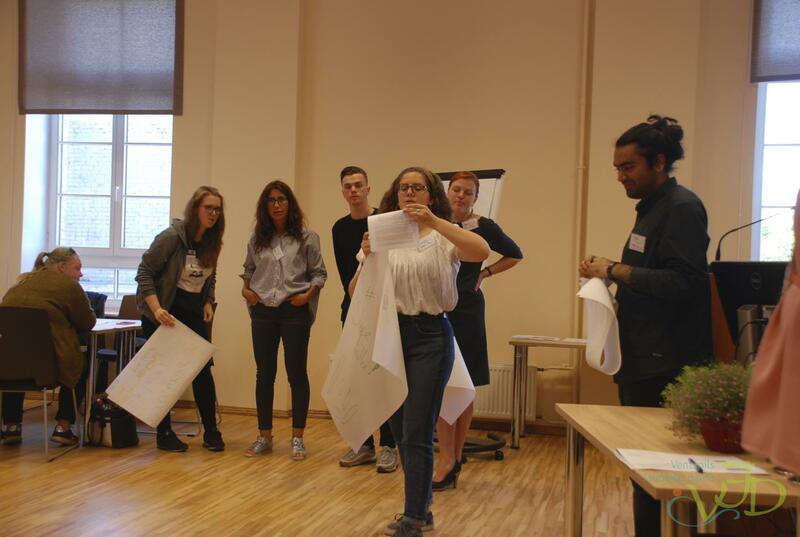 During the 3rd session dedicated to potentially successful start-ups, Olesja Sobolevska presented her project “Wastethic” (ethical waste), which deals with wise usage of thrown away clothing, including establishment of a clothing recycling plant. During the last session, an interesting business case from another country was considered. Anton Jevtiuchov told about his company “LitWild”, which offers extreme, recreational and romantic tours in the Aukštaitija region, Lithuania. All presentations and speeches delivered during the seminar were very inspiring and informative for the participants. Moreover, the speakers were inspired by the audience as well. When leaving the event, everybody felt that there is something important waiting for him or her in the future. 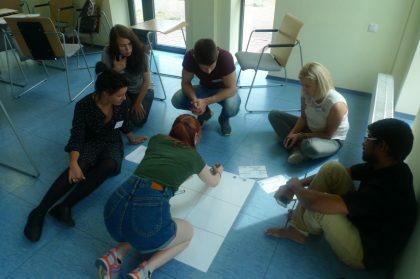 The teams got acquainted with a business of a newly-established manufacturing company “PlayGame” offering three board games: Memory (Memo) Game, “Create your fairy tale” Game and Port of Riga Quiz. The participants also had a chance to hold real games in their hands. 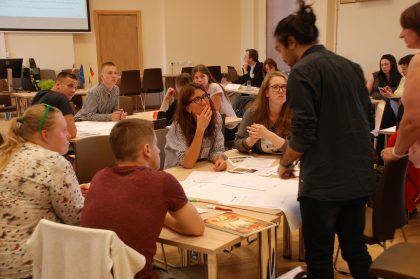 During three sessions, the players came up with numerous ideas and recommendations, which could improve the performance of the young producer. 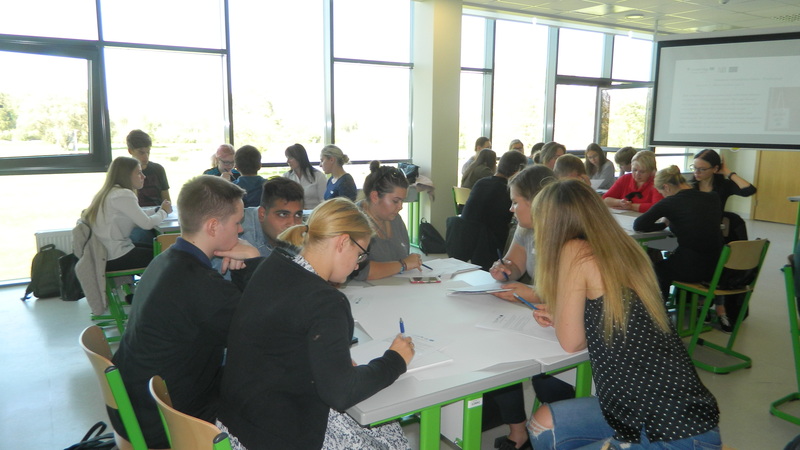 Current business simulation game took place on an unusually hot autumn day, 19 September 2018, in Daugavpils. 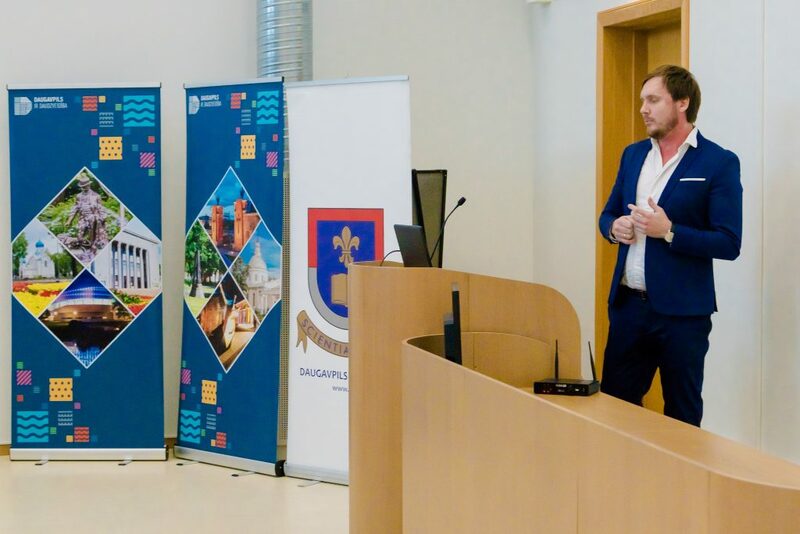 Six teams containing players from six different Latvian and Lithuanian cities met in a modern audience of the Daugavpils University to emerge into the reality of a production company “PlayGame”. Before the battle, the players invented names for their teams: Fantastic Six, Quizzers, Life is a Game, Starting 6, Super Team and LARROM. The bright sun cheered them up from large panoramic windows and the game began. 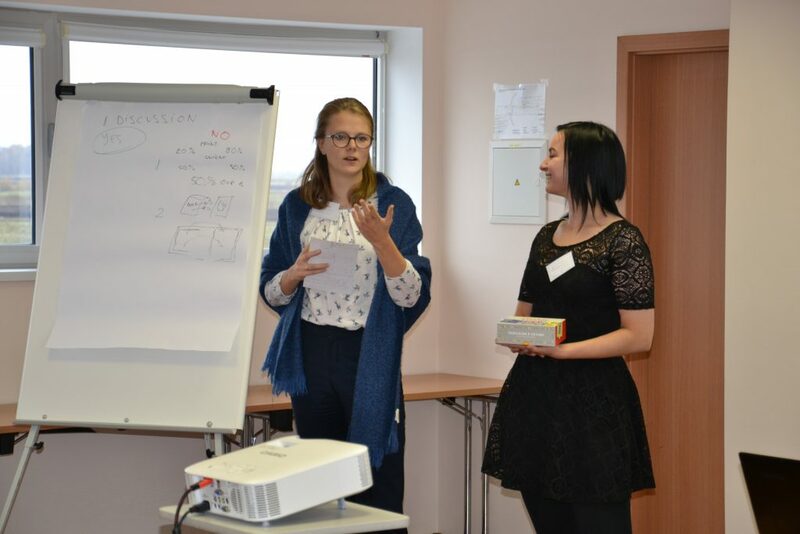 This time, project partners prepared a game about a manufacturing company “PlayGame” offering three board games: Memory (Memo) Game, “Create your fairy tale” Game and Port of Riga Quiz. The participants had a chance to hold the games in their hands and even play them for a short while. Afterwards, a story behind the company creation was revealed. beginning, the video showed problems representatives of the target groups from both sides of the border are facing, but then they engaged in the project activities, united together and reached a very happy end together. Take part! Enjoy! Be ready for business! 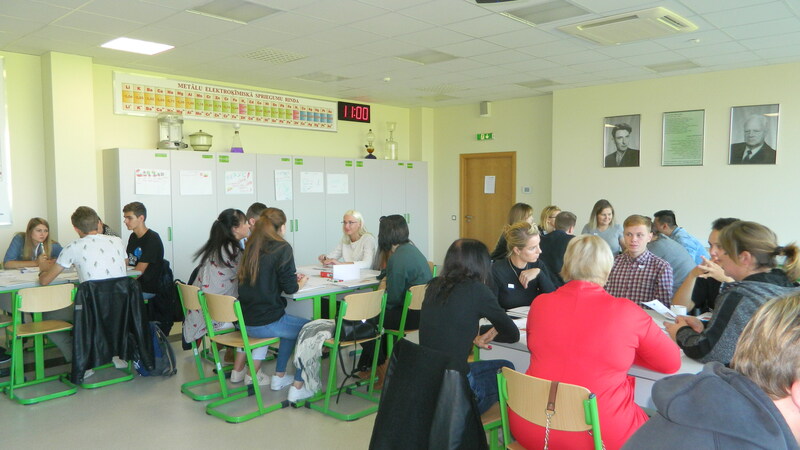 The second business simulation game with a topic “Wholesale” was conducted in Jelgava on 14 June 2018. Players from six Latvian and Lithuanian regions splitted into five teams: Sveiki, Transformers, Future, Super 8 and Shining Stars. “Every step you take can change the world,” – that is how a slogan of one of the teams sounded. The captain of another team emphasized the necessity to look ahead and act rapidly. “Don’t look at the past, look at the future. Technologies are developing very fast, so should we,” – he said. After all the teams presented themselves, the game began. 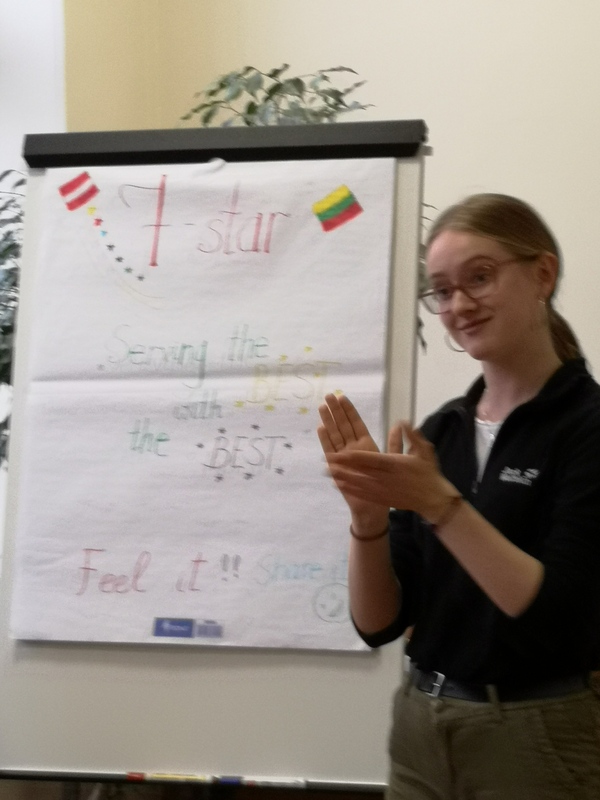 Even though short verbal tasks w ere definitely an exciting part of the game, which boosted analytical and creative thinking, the main focus was placed on BLOOM – a young Latvian wholesaler offering unique products from South Korea. The company sold rice cookers for various kinds of rice that keep it fresh and warm for up to 3 days, funny animal-shaped air moisturizers, portable mini ventilators that can be used outside and inside, and electric blankets. The players had to analyze three complex situations concerning BLOOM, discuss them in teams, identify solutions and present them in front of the audience. 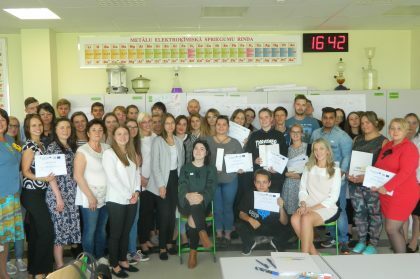 The work of the teams was assessed by the jury and an invited expert in entrepreneurship. The contents of this publication are the sole responsibility of LLU Faculty of Economics and Social Development and can under no circumstances be regarded as reflecting the position of the European Union. 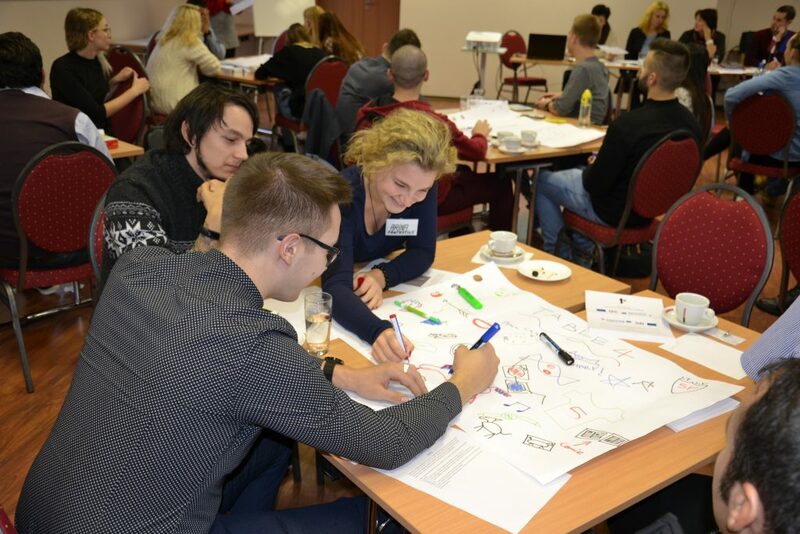 The fourth “Be involved” seminar designed according to an interactive “Get inspired – help – share – analyze” concept took place in Jelgava on 31 May 2018. 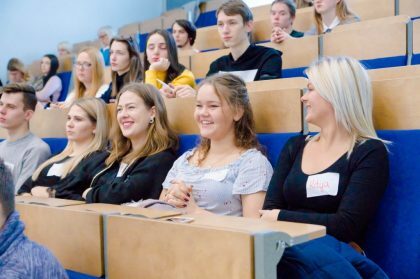 The event was organized at the Faculty of Economics and Social Development of Latvia University of Life Sciences and Technologies. 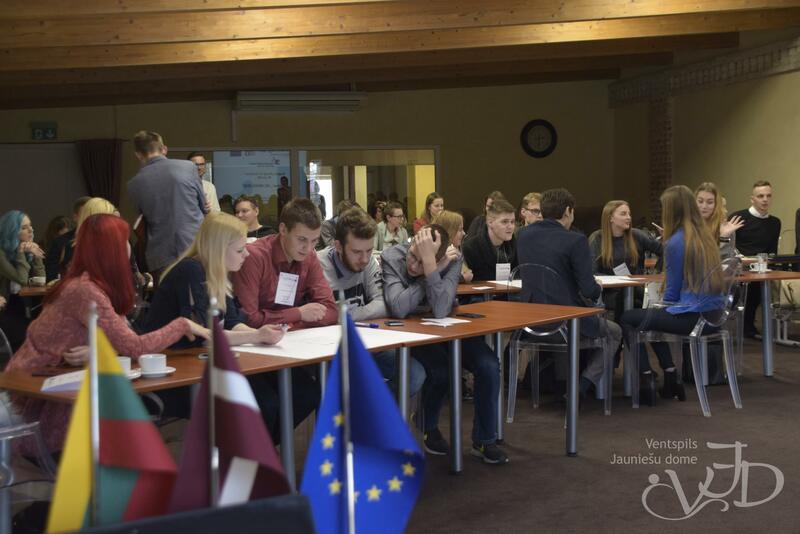 More than 40 participants from Latvian and Lithuanian cross-border regions gathered together to immerse themselves in the world of entrepreneurship. 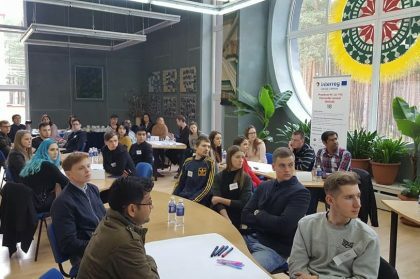 Business Simulation Game in Visaginas! On 26. April The third Business Simulation Game has already been successful. Main theme for Business Simulation Game was- wholesale. The aim of the game is to prepare target group representatives for start-up and/or gradual and successful development of their businesses in the real world. often brings surprises, thus making game participants more resistant to unexpected situations and problems they will eventually come across when starting or developing their businesses. 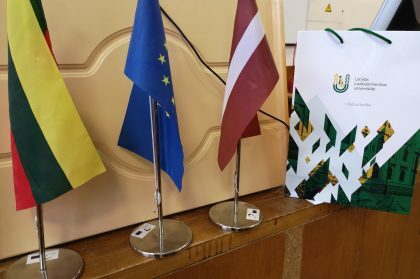 7.martā Ventspils jauniešu mājā pulcējās 36 jaunieši no Latvijas un Lietuvas, lai projekta Gatavs biznesam! (LLI-143) ietvaros izmēģinātu savas spējas un prasmes biznesa ideju attīstīšanā. Laikā, kad individuāla biznesa uzsākšana kļūst ar vien iespējamāka, nepieciešams rast jaunus veidus, kā šajā pasaulē ieinteresēt arī jaunāko sabiedrības daļu – jauniešus. Tieši tāds ir projekta Gatavs biznesam! (Ready for Business/ReforB) mērķis – veicināt ilgtspējīgu uzņēmējdarbību, izmantojot mūsdienīgus mācīšanās un zināšanu iegūšanas risinājumus. 13. decembrī no plkst. 10.00 līdz 16.00 LLU Ekonomikas un sabiedrības attīstības fakultātē notika pirmā biznesa simulācijas spēle, kurā piedalīsies 36 jaunieši no Latvijas un Lietuvas, lai attīstītu radošumu, trenētu komandas, līderības, diskusiju vadīšanas kompetences un uzņēmējdarbībai nepieciešamo domāšanu. Simulācijas metodikas pamatā izmantota reālu uzņēmumu pieredze un problēmsituāciju risināšanas piemēri. 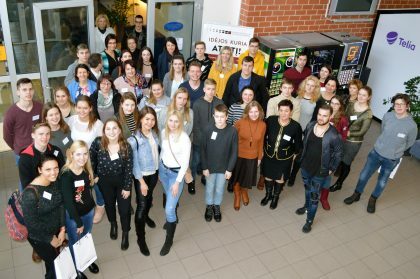 “Jau iepriekš fakultātē esam attīstījuši sadarbību ar uzņēmējiem, un studentiem organizējuši līdzīgas biznesa simulācijas spēles, taču tām bija cits mērķis – palīdzēt uzņēmējam inovatīvi risināt kādu viņam svarīgu problēmu. 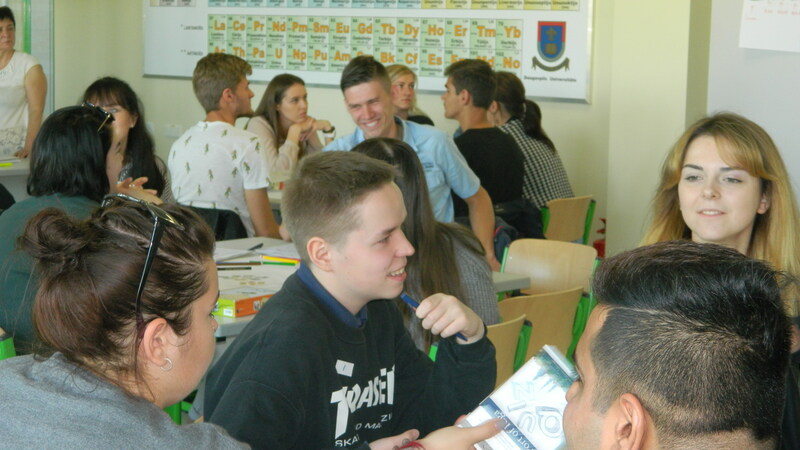 Taču tā kā studentiem nebija iespēju detalizēti iepazīties ar uzņēmuma vidi, viņu priekšlikumi ļoti bieži bija attālināti no reālās situācijas un labumu uzņēmējam nedeva. Šobrīd izmantojam citu pieeju – dosim iespēju jauniešiem iegūt informāciju par pētāmo uzņēmumu, piedāvāsim reālu problēmsituāciju, ar kuru uzņēmums ir saskāries un kuru vienlaicīgi risinās vairākas jauniešu grupas, un ļausim viņiem radīt idejas, analizēt un apspriest tās,” stāsta Ekonomikas un sabiedrības attīstības fakultātes dekāne Andra Zvirbule. Simulācijas galvenais mērķis ir veicināt jauniešos biznesa domāšanu, nevis meklēt risinājumus uzņēmējam. Turklāt simulācijas noslēgumā jaunieši tiks iepazīstināti ar uzņēmuma pieredzi, kā tas realitātē ir atrisinājis simulācijā analizēto problēmu. 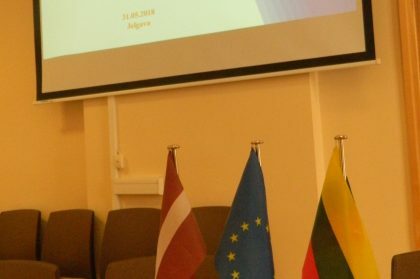 Biznesa simulācijas spēle norisinājās Interreg V-A Latvijas – Lietuvas pārrobežu sadarbības programma 2014. – 2020.gadam “Ready for Business” LLI 143 ietvaros. Tās metodiku ir izstrādājuši LLU ESAF pētnieki sadarbībā ar visiem projekta partneriem no Latvijas un Lietuvas. Projekta mērķis ir veicināt ilgtspējīgas uzņēmējdarbības attīstību pārrobežu reģionos, izmantojot inovatīvus uzņēmējdarbības atbalsta instrumentus un risinājumus. 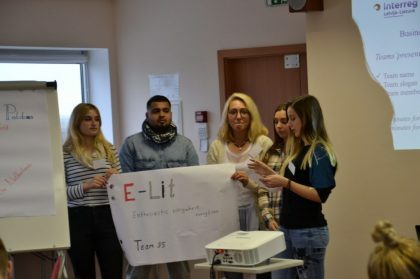 Simulācijā piedalīsies jaunieši no LLU, Daugavpils Universitātes, Ventspils Jauniešu domes, Viseginas Radošuma mājas, Klaipēdas Zinātnes un tehnoloģiju parka un Paņevēžu Darba tirgus apmācību centra. 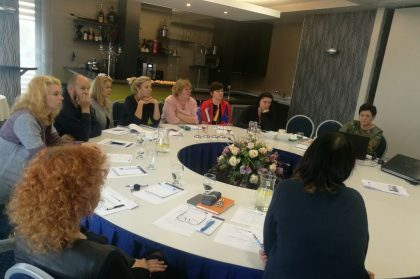 Lai īstenotu simulācijas spēles aktivitātes, tiks izveidotas sešas jauniešu grupas, izmantojot lozēšanu un veicinot dažāda vecuma un tautību jauniešu sadarbību vienas grupas ietvaros. LLU Jelgavā plānotā biznesa simulācija būs pirmā simulācijas spēle, kurai sekos vairākas spēles citās vietās Latvijā un Lietuvā. Izmantojot tajās gūto pieredzi, LLU mācībspēki kopā ar partneriem izstrādās IT rīku – biznesa spēles simulatoru -, kuru jaunieši varēs brīvi izmantot kā palīgu biznesa domāšanas treniņiem. Savukārt Ekonomikas un sabiedrības attīstības fakultātē spēles metodika tiks izmantota studiju procesā jauno vadības zinātņu, ekonomikas un socioloģijas specialitāšu studentu profesionālo kompetenču attīstīšanā. Are you ready for business! 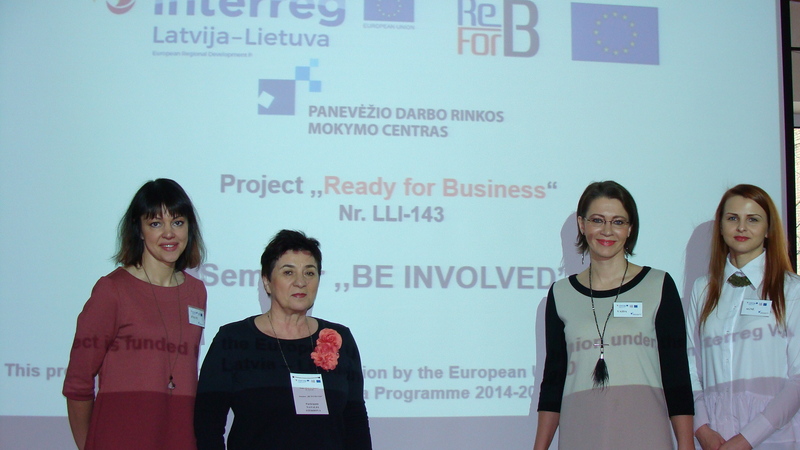 With the signing of a partnership agreement and a meeting in Klaipeda (Klaipeda Science and Technology Park) on 30 May, the project LLI-143 Ready for Business (ReforB ) was launched. 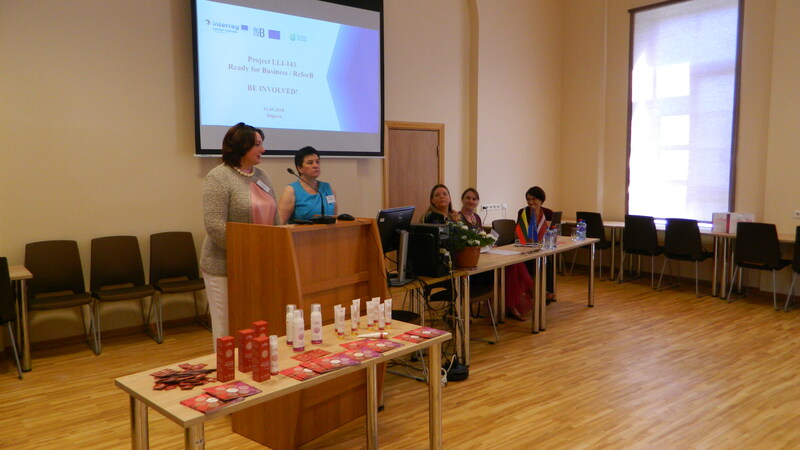 The Project is supported by the Interreg V-A Latvia-Lithuania Programme 2014 – 2020, the priority – support of labour mobility and employment.